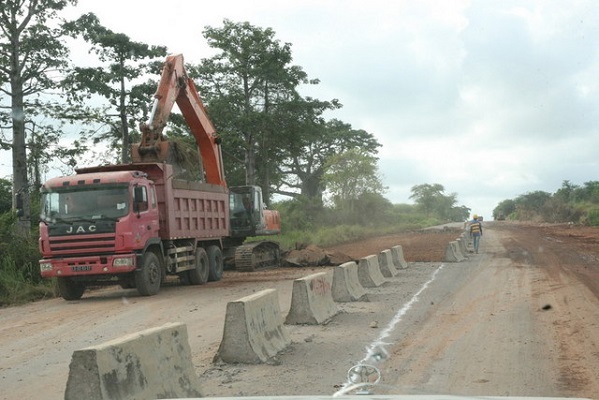 In order to interconnect the national road network in Angola, the country intends to rehabilitate 7000km of the country’s main road network. This is according to the Director General of Angolan National Institute of Road INEA, António Resende. Mr. Resende revealed the rehabilitation plans in Ndalatando, Cuanza Norte province. The country’s road network consists of 26,000km, of which 13,600 have benefited from rehabilitation and laying of asphalt for the first time, another 7,000 were awarded to contractors for rehabilitation and another 7000km await financing for its award and re-qualification. Out of the 7,000km of roads to be rehabilitated 4000 will be rehabilitated and asphalted for the first time. Transport and driving in Angola are some of the most challenging aspects of living in the country. Much of the road infrastructure was destroyed and neglected during years of conflict, and despite efforts to rebuild, many of its roads are still riddled with potholes and few of them are paved. Angolan public transport largely comprises of poorly maintained blue and white minivan taxis or buses that are known for their reckless driving as they careen in and out of the gridlocked city traffic. There are a few privately owned taxi companies in Luanda, but cabs are not common on the city streets. Due to poor safety standards, expats rarely use public transport in Angola, rather opting for a vehicle with a driver. Most roads in Angola cannot be negotiated without a four-wheel drive vehicle, and external factors like wandering livestock and heavily overloaded vehicles mean that expecting the unexpected is the best course of action. The majority of companies provide a car and driver, and cover maintenance and fuel costs for their senior expat employees. Alternatively, companies may have a pool of cars and drivers available to their staff. Most do not allow the employees’ spouses to drive company cars, and many do not even let their employees drive. That said, each company has a different policy and it is important to enquire before making any major purchases. Very few people buy personal cars due to the expense; a vehicle in Angola can easily cost double what it would cost in the US. The hassles around getting fuel and maintenance are added drawbacks. Petrol is cheap but the limited amount of service stations means that queues are long. Car maintenance is expensive in Angola. Parts frequently have to be imported, and it is not unheard of for families to speed up the process by bringing over parts themselves. Some expats who have signed on for a long-term stay and don’t have contractual restrictions do decide to purchase a vehicle. Many of the large car companies are based in Luanda, and although buying a new vehicle may be expensive, it can be easier than importing a car. Most expats live in Luanda Sul, south of the capital, and it’s much easier to get around in a private vehicle there, since traffic congestion is not as bad as the city centre. However, the excess of vehicles in Luanda’s city centre takes congestion to outrageous extremes. There often seem to be few road rules and fewer traffic lights, many of which do not work. In the rainy season, roads should be navigated with extreme caution, as the many potholes can leave vehicles badly damaged if drivers are not careful. Local drivers are also known for aggressive driving. Combined with the fact that few roads are tarred and properly demarcated, this provides further incentive to hire an experienced driver.